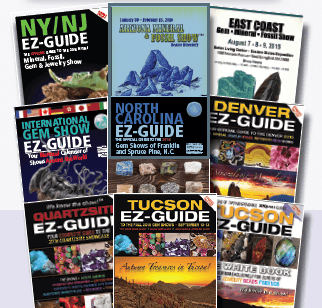 For 15 years, Xpo Press has been providing the widest and most effective selection in the world of print and online advertising for the gem show industry. Problem is, we have so many ad leads and not enough time or help to sell! • You have experience selling print and/or online advertising. • You’re professional, articulate and use good grammar on the phone and in writing. • You’re friendly and have good relationship-building skills. • You’re associated or at least familiar with gem and jewelry show cultures. • You’d like to work from your home office, anywhere in the U.S.
• You have a computer and phone that you can use for this job. • You’re ok with no insurance or 401K benefits provided, and you pay your own taxes. • You’d like to be part of a close team of forward-thinking entrepreneurs who accomplish a lot of work and produce great printed and online advertising opportunities for gem show folks … all on a small budget and big integrity. Then … please send an email to Brad Hicks, owner of Xpo Press, at support@xpopress.com. Include an attachment of your resume. No phone calls please. You will be contacted for a phone interview if you’re a qualified candidate.